Levius engaging an opponent in a match of cyborg boxing. 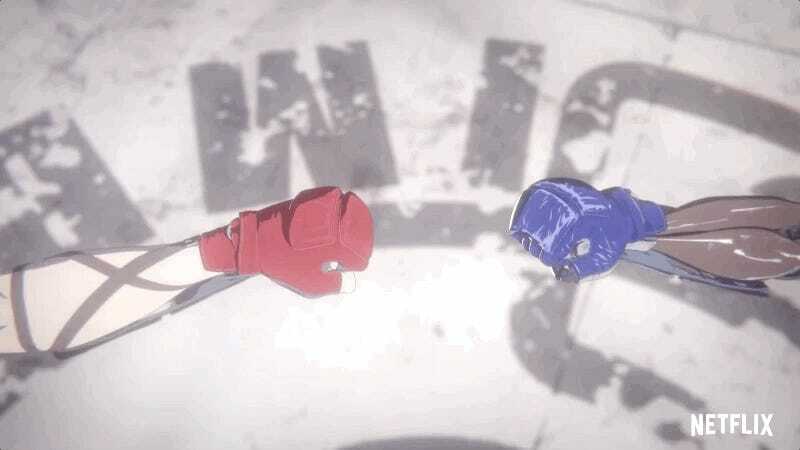 In Haruhisa Nakata original Levius manga, a young boy who loses his arm (along with his mother and father) to an ongoing war finds the strength to go on after he gets involved in the world of competitive cyborg boxing. Armed with a technologically-advanced prosthetic, Levius has what it takes to become great at the sport, but his path to the top is a rocky one. 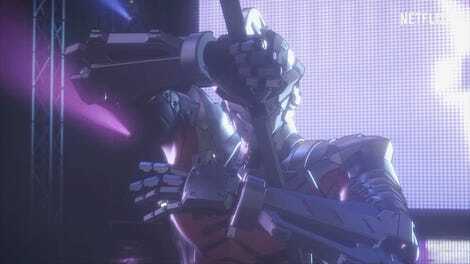 As the world attempts to recover from the devastation and move into the Era of Rebirth, cyborg boxing becomes a global phenomenon that can fundamentally change battlers’ lives with fame and status, but for Levius, the sport is all about staying alive to see another day. In the first teaser for Netflix’s adaptation, we meet Levius and see that despite his inherent fighting prowess, fighting alone won’t be enough to achieve his goals. Levius the manga hits stores September 17, and Netflix’s animated adaptation drops sometime later this winter.